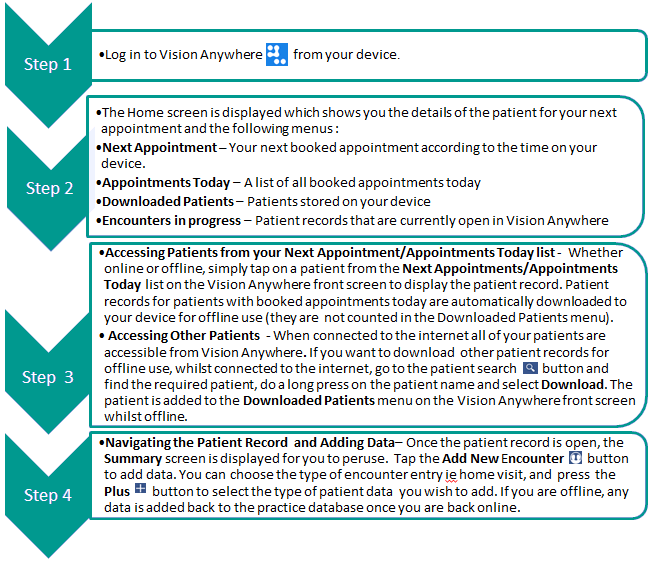 The Vision Anywhere (Android) app gives GPs and other healthcare workers secure mobile access to patient records and appointments. It provides both online and offline access, allowing users to view and update patient records and view appointments, with or without an internet connection. Vision Anywhere for Android is currently available via Google Play. See - Prerequisites and Getting Started.